As part of Project FIRST- The AIRE Centre has published a blog on “The Justice Gap” on the difficulties faced by EEA nationals who have been victims of domestic violence at the hands of their British partners. 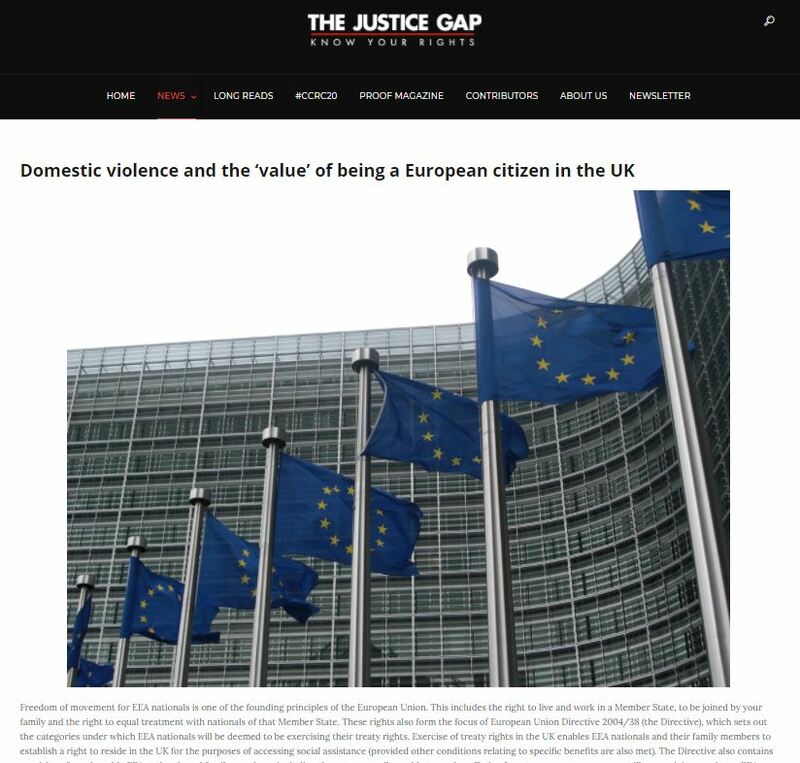 The article looks specifically at the situation of an EEA national who is married to a British national and the particular difficulties faced by this group when compared to a non-EEA national spouse of a British national. An EEA national residing in the UK as the family member of a British national, and who is being supported by her spouse, is likely to face unreasonable hurdles in deriving rights from their abusive spouse for the purpose of accessing benefits. The AIRE Centre believes that the UK authorities should recognise the common difficulties faced by victims of domestic violence and the need for a period during which the victim can recover and find their feet.